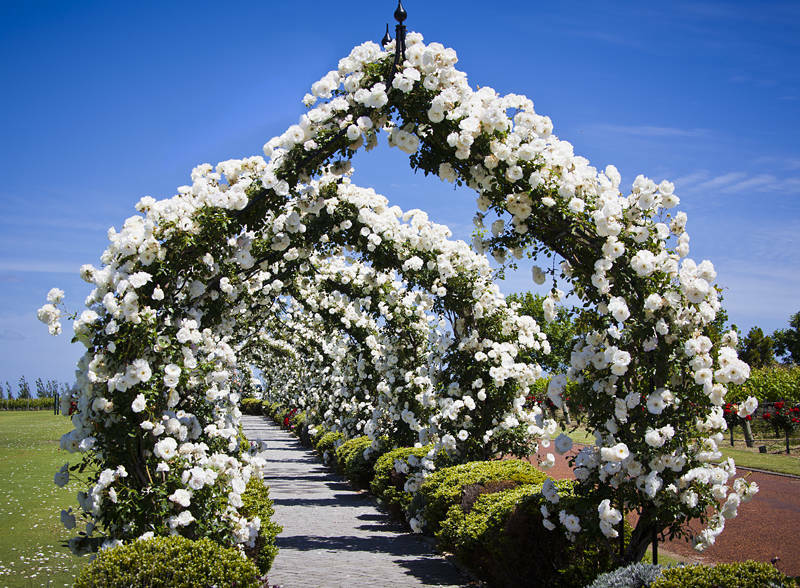 This rose tunnel is on the Voyager Estate in Margaret River, Western Australia. There is a rose garden and red and white rose bushes at the end of every row of vines. There are a number of theories to why wine growers plant roses. They vary from purely aesthetic to practical bio-engineering. I suspect any floral diversity would be beneficial to the ecological environment.